On August 7 and ? this year, 201? SpaceX, together at the University of Colorado Boulder, held the first, the so-called. "Inaugural", a seminar on future flights to Mars with the help of the future rocket and spacecraft BFR /BFS ( .Big Falcon Rocket ) And other problems of the colonization of Mars. About sixty people attended the seminar. Among them were almost 60 key scientists and engineers from industry, academia and government, officials and scientists from NASA, including several leaders from the Mars exploration program. There were no journalists or bloggers at the seminar, the participants received personal invitations that encouraged them to participate in "active discussions about what would be required to carry out such missions." In addition, the participants were asked not to publish information about the seminar and about their participation in its work, but, as you can see, it failed. There are three leading seminars. This is Paul Wooster, who is the SpaceX's principal Mars development engineer, the chief engineer for the development of Mars in SpaceX; Margarita Marinova, senior Mars development engineer, senior engineer of Mars development; and Bobby Braun, Dean of the College of Engineering & Applied Science at CU Boulder, dean of the College of Engineering and Applied Sciences at CU Boulder. Brown is also known as the former chief technologist of NASA, he in the past worked on projects SpaceX. 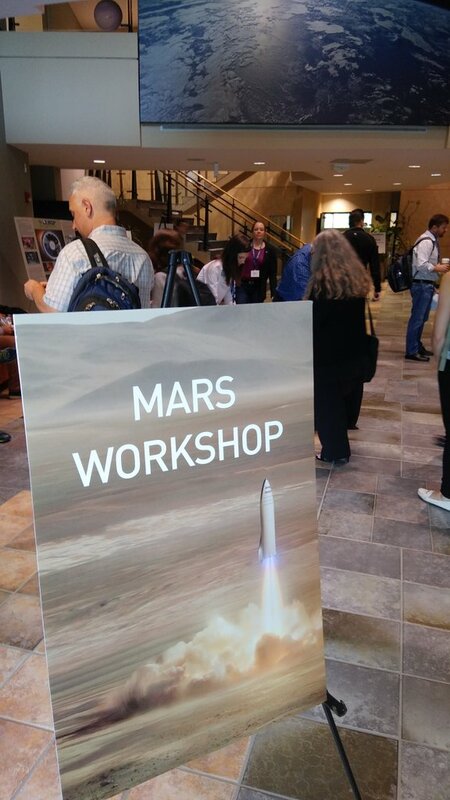 "SpaceX Hosting Stealth Mars Settlement Workshop"